PUBG ban India has apparently become severe this week as the country's government has placed restrictions on where and when fans can play their mobile game of choice. The ban, which outlaws people from playing PUBG Mobile outside of select contexts, has already led to a reported 10 arrests. Here's what you need to know. 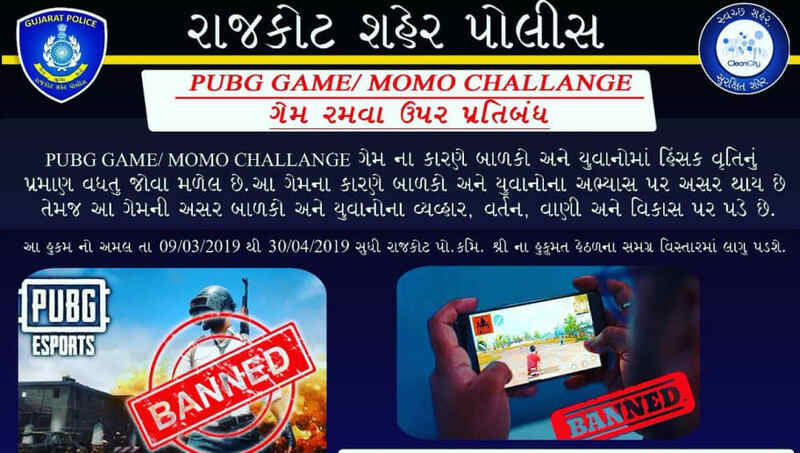 Rajkot Police issued an announcement March 7 ​banning people from playing PUBG Mobile or participating in the Momo Challenge. Offenders outside of police or educational institutions can be reported, and face up to a month in prison and a small fine if they fail to cooperate. The ban is purportedly an attempt to curb PUBG Mobile's promotion of violence, and to neuter the negative effects it has allegedly had on the academic performance of children. It is being enforced under section 188 of the Indian Penal Code and, according to ​The Quint, will last until March 30. Rajkot is among four cities in the state of Gujarat to have implemented the ban. The state previously banned PUBG Mobile from primary schools, and calls for further steps have continued to grow since. Speaking to the ​Indian Express, the Rajkot police commissioner stated those arrested so far would be immediately bailed out by police, though their phones had been confiscated for investigation. In a statement to ​Eurogamer, PUBG Mobile's developers struck a conciliatory tone. "While we strive to deliver the best possible gaming experience to our fans," it wrote, "we also believe that it is extremely important for us to be a responsible member of the gaming ecosystem." "To this end, we constantly work and shall continue to work with different stakeholders, including parents, educators and government bodies, and listening to their feedback on what we can do to enhance the overall PUBG Mobile experience."